glazing. Single garage to rear. Double radiator, opening to reception 2.
picture rail, original ceiling rose and cornice. radiator, uPVC double glazed window to rear. Storage cupboard with loft access. garage with rear lane access. 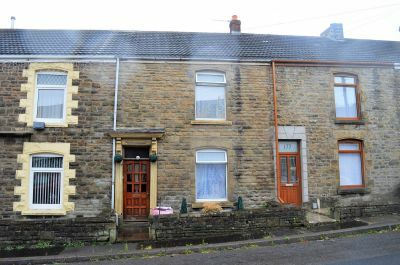 Traditional terraced property comprising two reception rooms, kitchen/breakfast room, utility room and bathroom on the ground floor. On the first floor there are three bedrooms and a cloakroom. The property benefits from gas central heating and majority uPVC double glazing. Single garage to rear. UPVC double glazed window to front, radiator, picture rail, original ceiling rose and cornice. Stairs to first floor, uPVC double glazed French door to rear, cast iron fireplace with feature surround, picture rail. Fitted with a range of wall and base units with work surface over, inset electric hob with extractor fan over, slot in electric oven, radiator, tiled floor, uPVC double glazed window to side. UPVC double glazed window to side, freestanding stainless steel sink unit, double radiator. Four piece suite comprising panelled bath, step in shower cubicle with mixer shower, low level w.c, pedestal wash hand basin, part tiled walls, radiator, uPVC double glazed window to rear. UPVC double glazed window to rear, radiator, storage cupboard. Low level w.c, pedestal wash hand basin, wall mounted combination boiler, sash window to side. Garden is enclosed and laid to paving, single garage with rear lane access. Upon exchange, a 10% deposit and a Buyers Premium of £650 plus VAT (£780) is payable.